-You can learn what you want fast and effectively. 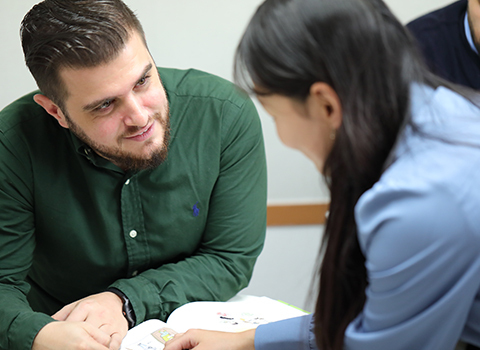 -The curriculum could cover conversation, grammar, pronunciation correction, business English, college preparation, naturalization test preparation, TOPIK preparation, and even more professional Korean language learning. Private lesson takes place at the Ganada campus while visiting lecture is given at a student’s choice of location. It is basically one-on-one lesson but 2- to 4-student class is also possible when students make their own group. and 90 minutes in the evening(after 6pm), weekends and holidays. Visiting lecture should be for a minimum of 90 minutes per lesson. You can decide the term and time of the lesson and consult with us to finalize the schedule. We could create a monthly study plan for a long-term student. An advance payment for tuition and fees is required. If you couldn’t take all the classes as planned, the rest can be carried forward to next month. Your next month tuition will be adjusted accordingly. Additional transportation expenses could be added for visiting teaching outside Seoul area or at the place without public transport.